Brief description: Daniel – God is alive! Don’t capitulate to evil. 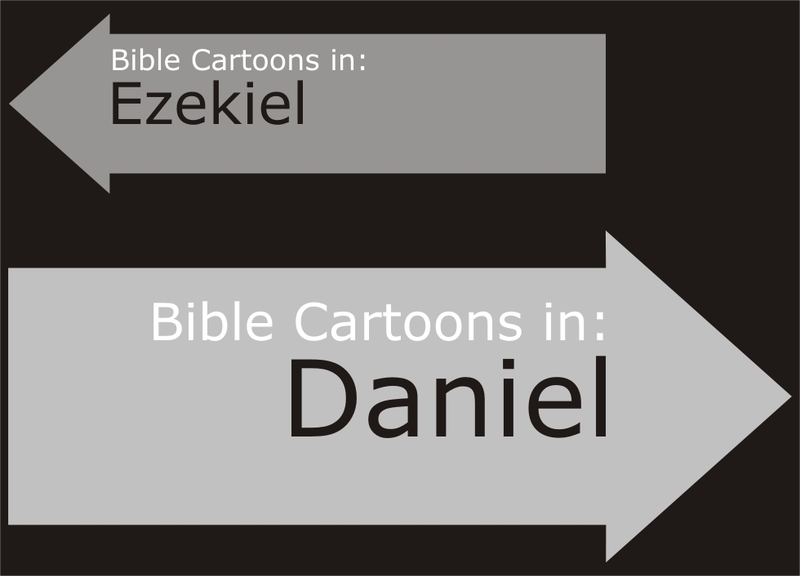 Daniel means “God is my judge”, or “judge of God” in Hebrew. The book of Daniel provides support and understanding for persons living under constant fear. The book of Daniel contains two of the best-loved stories in the Bible: Shadrach, Meshach and Abednego in the fiery furnace and Daniel in the lions’ den. It’s also a gold mine of prophecy, ancient history, and lessons about trusting God. Daniel was a young Jewish noble when he was captured by the Babylonians in 605 BC after they conquered Judah. With many others, he was sent into exile to Babylon, the capital of their empire. Despite the Babylonians’ attempts to control him by giving him a new name (Belteshazzar) and training him in their ways, Daniel continued to worship and live true to God. In Daniel, we also see God demonstrate his complete power over the world. While boasting of the Babylonians’ magnificent kingdom, King Nebuchadnezzar was driven insane by God. For years he lived among the oxen and ate grass, humiliated under the only True Power of the universe. When the Medes and Persians conquered Babylon, Daniel continued to serve his new masters. God granted him special abilities to interpret dreams and reveal upcoming events. Daniel serves as a solid example of working for earthly authorities while maintaining godly integrity. Introduction and Daniel’s interpretation of the great statue dream (1:1-2:49). Shadrach, Meshach and Abednego rescued from the fiery furnace (3:1-30). Nebuchadnezzar’s dream and humiliation (4:1-37). The moving finger writes, and Daniel prophesies destruction (5:1-31). God saves Daniel in the lions’ den (6:1-28). Daniel’s vision of four beasts (7:1-28). Daniel’s vision of a ram, goat and small horn (8:1-27). Daniel’s prayer answered with 70 years (9:1-27). Daniel’s vision of the final great war (10:1-12:13). The overriding theme of Daniel is the sovereignty of God. He is in control of all circumstances. In addition, the book teaches that God is faithful to his followers. In spite of temptation and coercion, believers are to stay faithful to God while going about their earthly duties. Daniel (aka Belteshazzar) Hebrew exile in Babylon. Interpreted dreams and visions of kings, thus becoming a prominent figure in the king’s court. Contemporary of the prophet Ezekiel. Thrown into the lions’ den, but unhurt in that experience. Nebuchadnezzar II King of the Neo-Babylonian Empire, (605 – 562 BC.) Famous for throwing 3 Hebrew men (Shadrach, Meshach, and Abednego) into a furnace. Whilst boasting of his achievements, Nebuchadnezzar was humbled by God: he becoming insane, lived in the wild like an animal for seven years, then God made him sane once more. Hananiah (aka Shadrach) Hebrew exile in Babylon. Thrown into fiery furnace of king Nebuchadnezzar II, but unhurt in that experience. Mishael (aka Meshach) Hebrew exile in Babylon. Thrown into fiery furnace of king Nebuchadnezzar II, but unhurt in that experience. Azariah (aka Abednego) Hebrew exile in Babylon. Thrown into fiery furnace of king Nebuchadnezzar II, but unhurt in that experience. Belshazzar (aka Balthazar) Last king of Babylonian empire. Held a great feast; drank from the sacred vessels captured from the Jerusalem temple. Suddenly, a man’s hand wrote on the wall “Mene Mene Tekel Upharsin” (Dan’ 5:25) to mean “Thou art weighed in the balance and art found wanting.” That night Belshazzar was slain. Darius the Mede took the kingdom. Darius the Mede 62 years old when he became ruler over the kingdom of the Chaldeans (Babylonians) (Dan’ 5:31) Famous for having been tricked into throwing Daniel in the lions’ den.